Sally Jubb read Drama and English At Goldsmiths College, London. She returned to the sea and her home town of Scarborough in 2001. Since 2015 her stories have been shortlisted and placed in various competitions and appeared in several anthologies. She won The Colm Toibin Short Story Award (2017). A.B. Jackson was born in Glasgow and raised in the village of Bramhall, Cheshire. His first book, Fire Stations (Anvil), won the Forward Prize for Best First Collection in 2003, and Apocrypha (Donut Press) was the Poetry Book Society’s Pamphlet Choice for summer 2011. His most recent collection, The Wilderness Party (Bloodaxe Books, 2015), is a Poetry Book Society Recommendation. 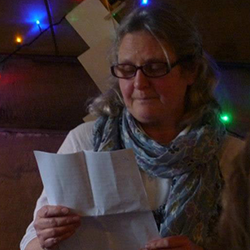 Romi Jones writes fiction and facilitates creative writing with community groups. 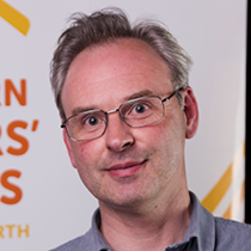 Recent achievements include: Arts Council grant to create an installation ‘outer places, inner voices’ with local sound artist; Winston Churchill travel fellowship to USA/Canada researching arts and older people, Northern Promise Award; MA in Creative Writing. 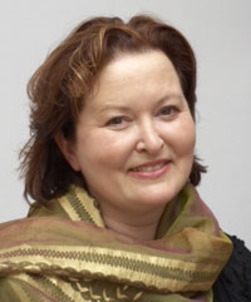 Rebecca Jenkins is a cultural historian, novelist and biographer. Her biography of 19th century actress Fanny Kemble, The Reluctant Celebrity, was short-listed for the 2005 Theatre Book Prize, and her social history, The First London Olympics, 1908, was long-listed for the William Hill Sport Book of the Year Award. The Duke’s Agent is the first of her FR Jarrett mysteries, set in the north east of England during Regency times. 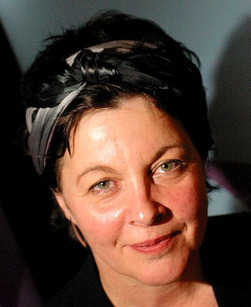 Avril Joy is a novelist and short story writer, winner of the 2012 Costa Short Story Award. Her latest novel, Sometimes a River Song, is published by the women only Linen Press. 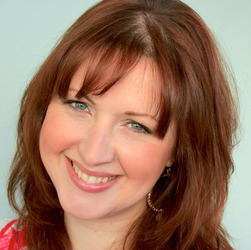 Carolyn's debut novel, The Guardian Angel’s Journal, was published in the UK & Commonweath by Piatkus/Little, Brown as their 2011 superlead title and immediately hit the Bookseller’s Heatseeker’s chart. A second novel, The Boy Who Could See Demons, was published in the UK, Italy, Germany and the Netherlands in 2012.